Web hosting is a method that makes your websites available to the users. We perform web hosting, managed environment with an optimized milieu. Our customer care support teams and technical support teams serve 24/7 on live chats and telephone services. eChromatics proposes its facilities with a cost-friendly approach and a return agreement of money with an opportune notice for renewal hosting. We cater to a 100% risk-free extendable to any limit of space and bandwidth. Websites are envisioned to be viewed by any users on the internet at any point in time and place. If you need your website to be viewed by users all the time, you can rely on eChromatics to do the job for you because we are connected to the web for 24 hours in a day and 7 days in a week all through the year. 24-hour support for all days of the week throughout the year. 24/7 FTP access so that you can update or modify your website. Numerous email accounts that can be helpful. Online control panel so that you can manage your website at Peshawar clients. Online traffic statistics for you to perceive the amount of traffic that blocks your website. A healthy database management system such as MySQL and MSSQL. Hosting and presenting your website on the internet can be a stressful thing and we understand that. However, with the right equipment that includes a web server and a permanent secure connection to the internet, your job becomes easier and faster. eChromatics has resources that provide the right tools and support that you need in order to represent your business online. You simply have to make sure that your internet service provider permits you to follow this form of practice with stability and consistency. You also will have to have website administration skills such as managing or configuring a web server, patch management, firewalls, and virus protection. If you necessitate dedicated server application software such as ColdFusion, SQL Server, ASP.net, PHP Hosting, our company eChromatics is right here to provide you with all the benefits at your doorstep within Islamabad. Our other services also include free domain registration, easy to use web hosting control panel, free website builder software, disk space and bandwidth, PHP MYSQL and asp.NET MSSQL server deployment support for 24 hours a day via live chats, emails, and telephone services. We also offer free domain transfer, free transfer support, unlimited disk space and transfer, easy to use website control panel, full RAID backup, all web languages and database support along with secure protocol that enables your website to be safe from threats. eChromatics services deliver several reimbursements to our users. They include 99% web hosting server uptime, reliable hosting plans that support CMS such as Magento, Drupal, WordPress, Joomla, DNN nuke, open source shopping cart, non-commerce and other 24/7 technical support services in local languages. The best part of our service is its reasonable price that makes our customers happy! There will be no extra payment, no hidden charges, free of cost CPanel and database manager, unlimited hosting features with no costs. All modes of payments are supported like money transfer, bank transfer, Visa, Mastercard or Paypal. eChromatics has been a leading provider of web hosting services since the year 2008. We have been awarded and appreciated for our quality and excellent web hosting methods that are supported by our teams with professionalism and expertise resulting in a 99% uptime. We believe in technology meeting standards. Which is why we aim to meet even technological requirements and standards like Microsoft platform or Linux or any other tools, scripting languages, report tools, and third-party plugins. We also satisfy all requirements related to web development and web designing tools. eChromatics’s Linux web hosting services are well recognized in Pakistan proposing hosting packages of Linux like Perl support, CGI-BIN support, Fantastico, POP3, IMAP, SMTP, email accounts, webmail access, PHP support, unlimited MySql databases, and free script installer. It comprises of a basic hosting plan that operates on a Linux operating system, the pros being complete control, readily available scripts and programs. As known to many, it is referred to as wamp/LAMP server-software combination of Linux, Apache, MySQL and PHP/Perl/Python. Linux web hosting offers an unfailing web hosting, reasonable price, 24/7 customer care, and support and a protected risk-free environment. Linux hosting is an open-sourced platform that is a union of various software with server technologies. Quite a few companies approve Linux and develop their own operating systems that are appropriate to their requirements. Linux hosting is known by different names because of having many distributors such as Ubuntu, Red Hat Linux, CentOS or Fedora. One advantage of Linux web hosting over Windows hosting is that it is cheaper. Windows ASP.NET hosting is the process of storing, serving and upholding files for other websites. Virtual hosting and dedicated hosting are two types of hosting used under this category. 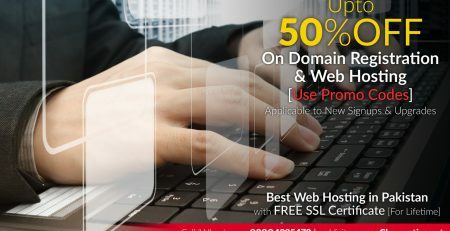 Windows hosting in Pakistan was built by Microsoft and hence is designed for hosting Microsoft technologies like ASP, ASP.NET, silver light or MSSQL server databases. The service technologies offered by eChromatics under Windows Web hosting, have different features that are suitable to a user’s needs. Windows has certain applications that cannot be accessed by any other hosting platform like Linux and a few of these applications are ASP classic, ASP.NET, MSSQL, MS Access, and remote desktop. This challenge makes it obligatory to have window hosting and these results in a limited number of users. Users need to have a license acquired from Google to access Microsoft Exchange and Microsoft SharePoint. Linux and Windows web hosting is extremely popular and also independent of the operating system you use. eChromatics offers both forms of hosting with reasonable packages and efficiency. However, Linux has been proved to be the hot cake among the two in Pakistan. Because it is open source, it provides access to an extensive range of application scripts or snippets making it stress-free for developers to try their hands at website development.